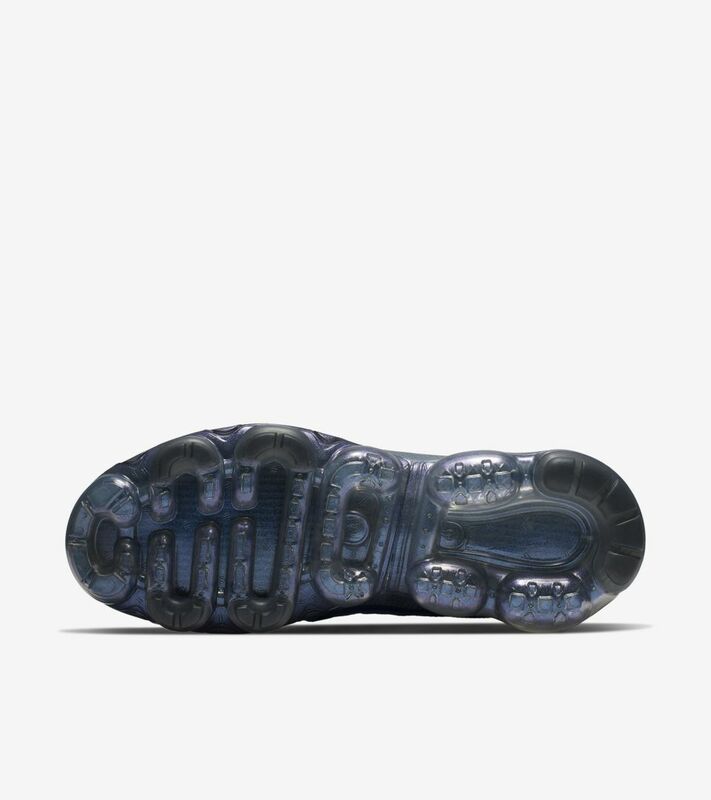 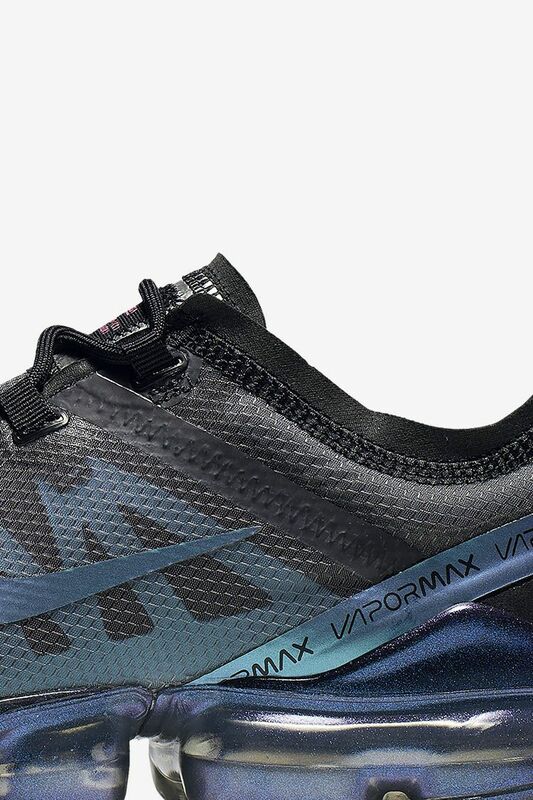 After 7 years of testing and logging in more miles than any previous Nike innovation, the VaporMax remains the most flexible and lightest Air Max—but there’s always room to improve. 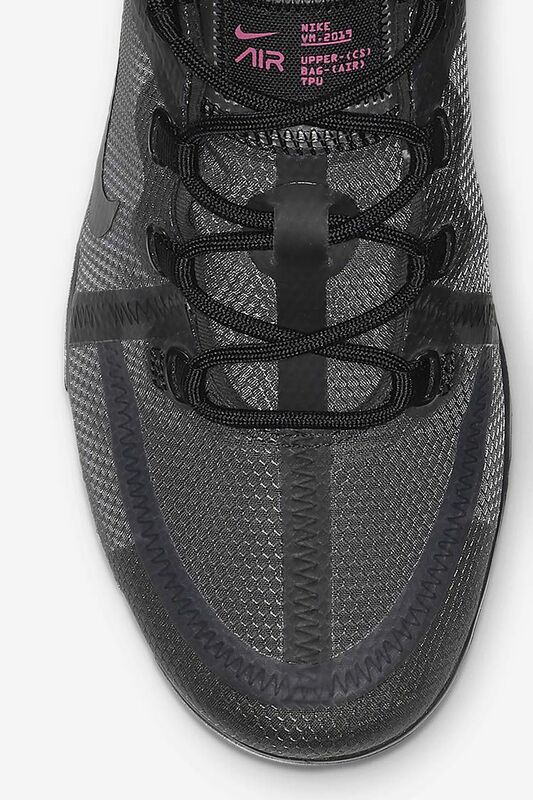 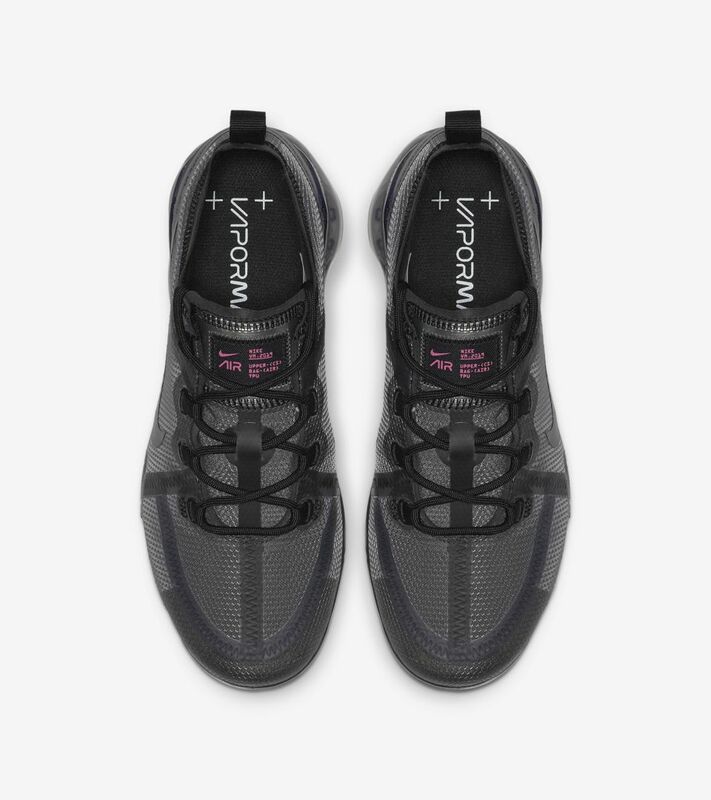 To add more structure and durability, designers reworked the upper using Nexkin, a translucent upper that conforms to your foot and is more weather-ready than Flyknit. 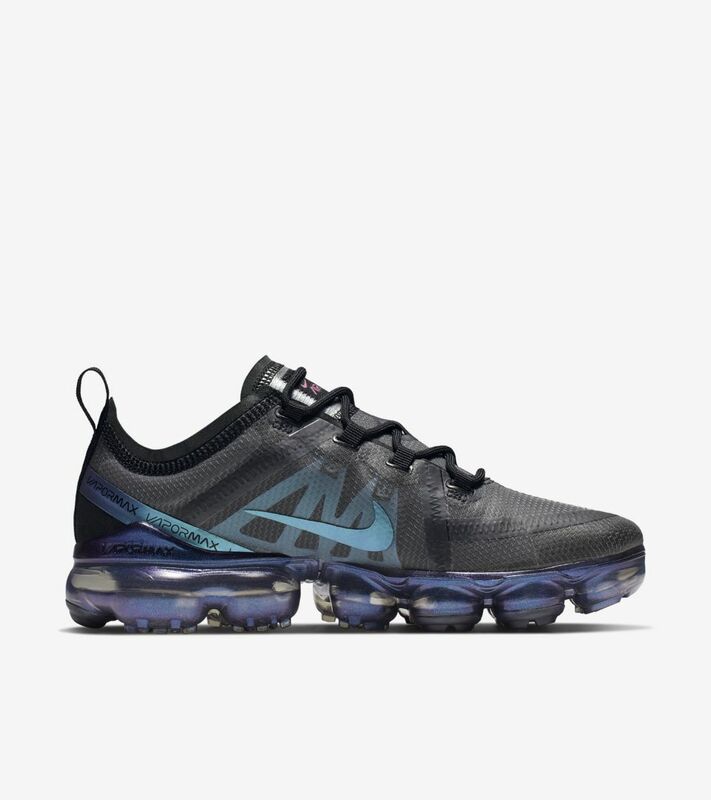 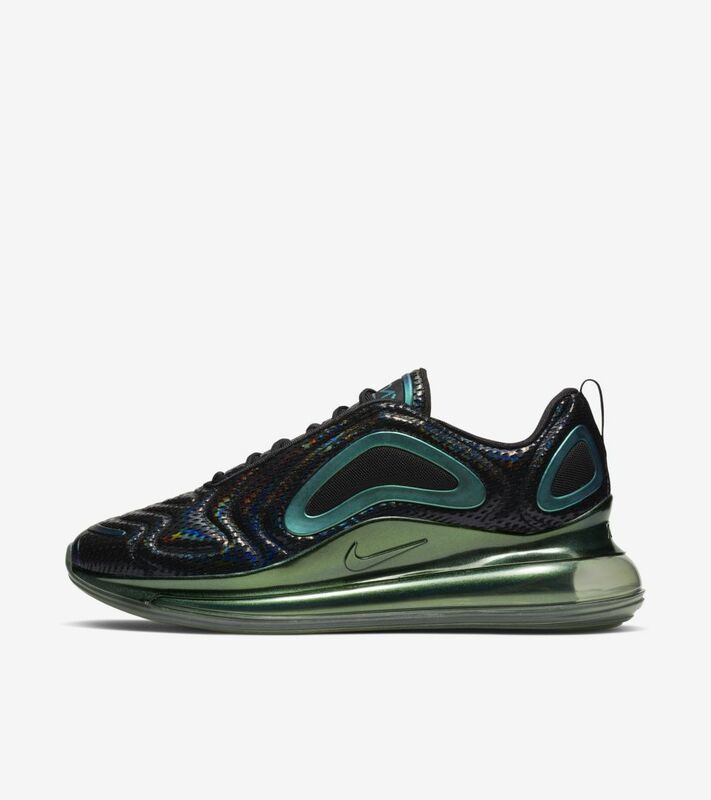 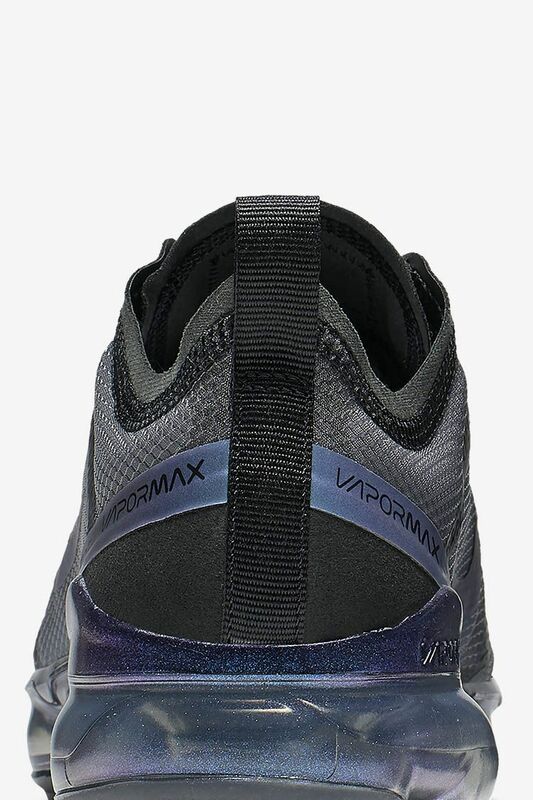 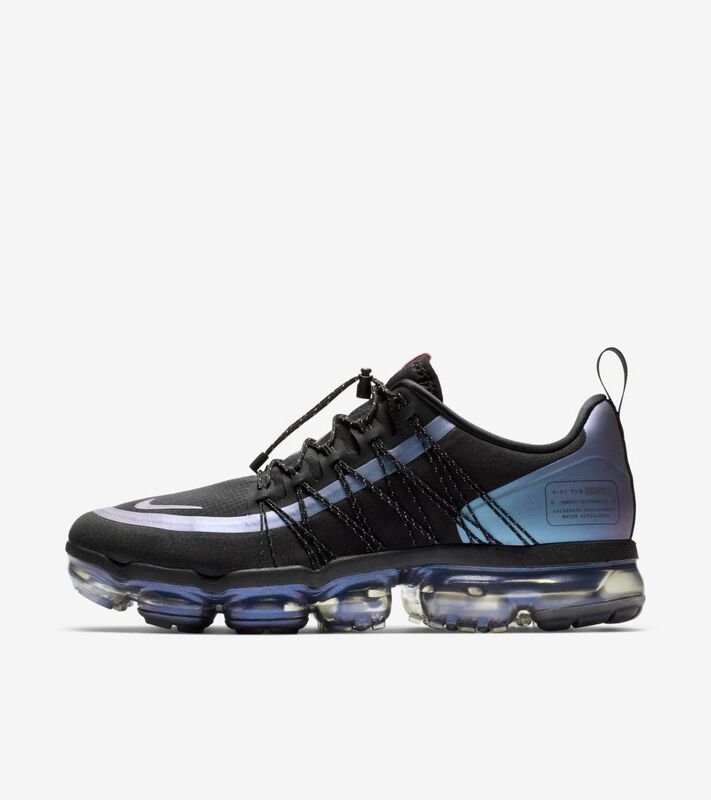 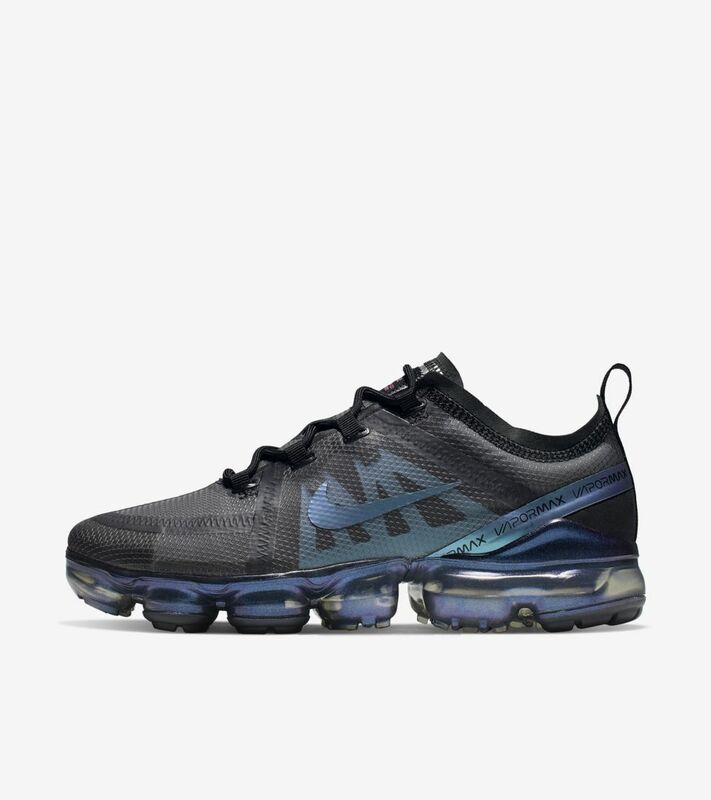 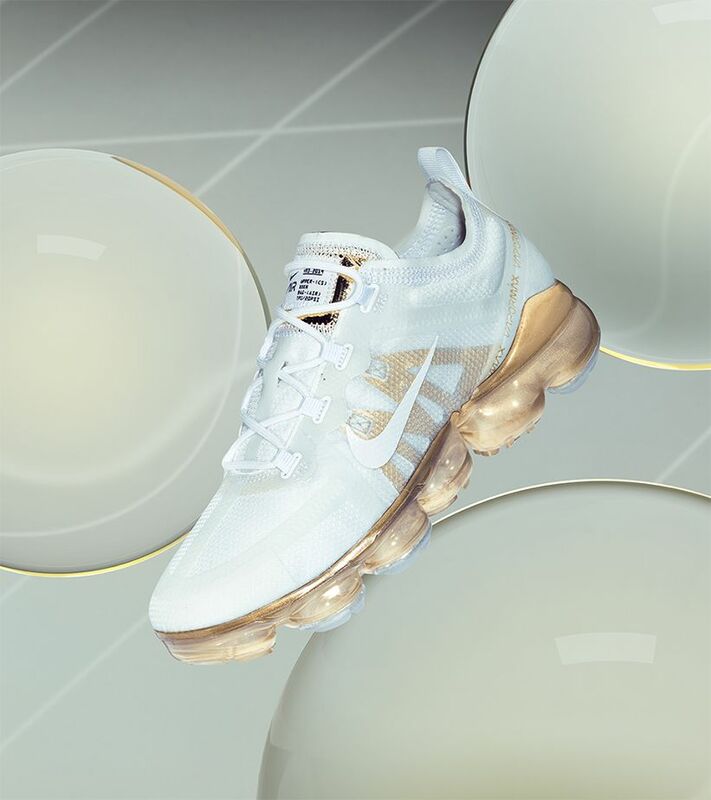 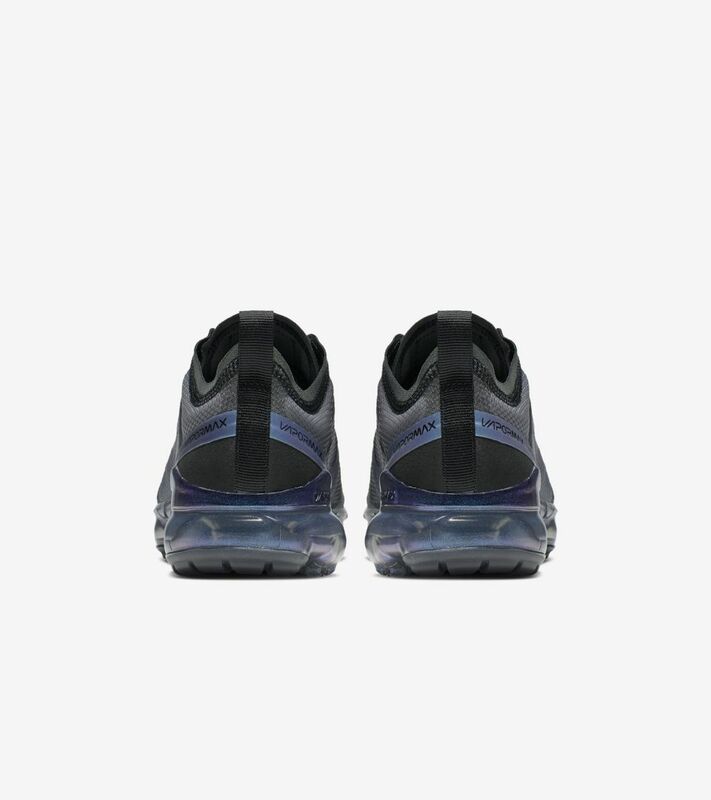 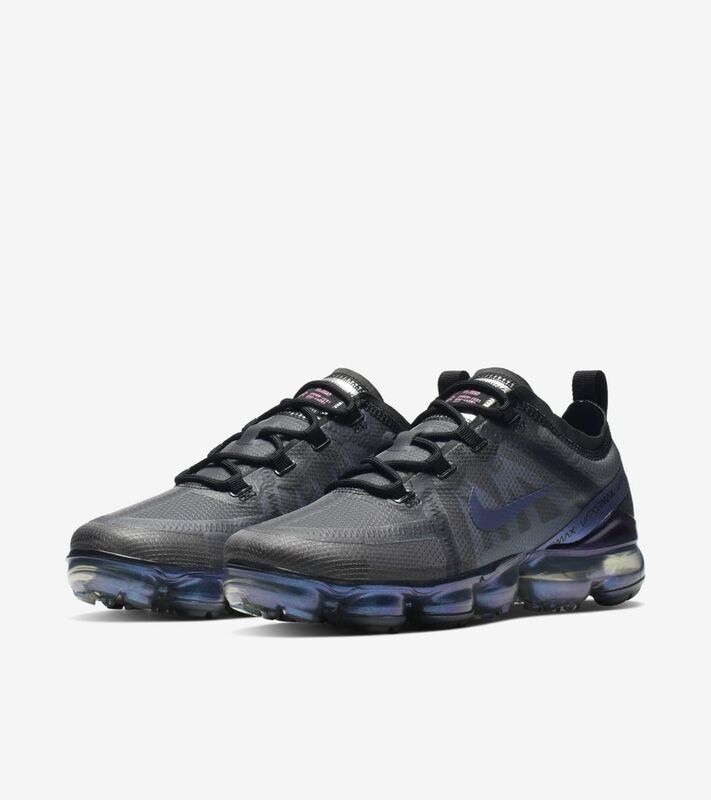 Taking inspiration from the future, this latest Air VaporMax 2019 blends traditional sneaker color pop combinations with modern iridescent accents to create a future aesthetic.